With deep visibility into the users, devices, and applications accessing your network, Cisco Identity Services Engine (ISE) helps you ensure that only the right people with trusted devices get the right level of access to your network. 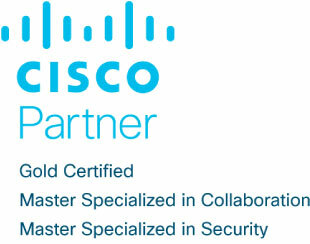 Experience the Cisco ISE for yourself. Sign up for a POV experience from Cerium's expert engineers today. Fill out the form or call the number below for a free consultation with one of our experts. The ISE POV is a non-disruptive engagement that will highlight the value Cisco ISE can bring to your environment. 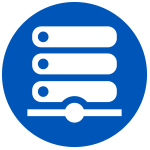 During this engagement, a Cerium engineer will work with you to configure and deploy ISE within your environment. This engagement includes engineering consulting, Q&A, troubleshooting, and coaching with Cerium specialists. At the conclusion of the engagement, Cerium will present an ISE proposal for your environment. 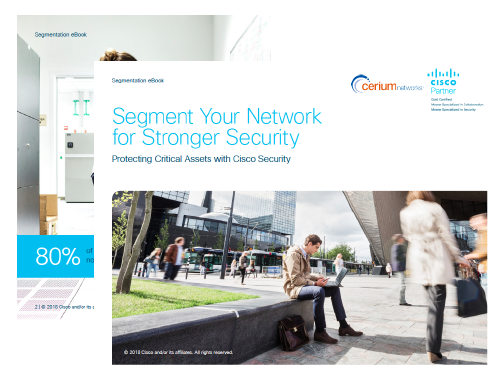 Download Cisco's free e-book to learn how Cisco ISE changes the game with software-defined segmentation. When it comes to cybersecurity, know-how and experience are critical. You need a trusted partner with proven, recognized expertise; Cerium is that partner.